While peering out of the window during a Pilates class one Saturday morning five years ago, I noticed people coming and going from Hanamaru, a little Japanese restaurant below Washington Boulevard in Ogden. My curiosity piqued, I limped over after class to learn that freshly prepared ramen was being served “only on Saturdays” by chef and owner Ryoichi (Roy) Yamamoto. Trained in the culinary arts in Osaka under two world-class chefs, Chef Roy frankly doesn’t need more business or publicity. In fact, he modestly declined to be interviewed for this piece, in the hopes of “protecting” his current customers. You see, Ogden natives more than fill up the six tables and six seats at the bar from Wednesday to Saturday, during lunch and dinner, along with the private cooking classes he teaches. Hanamaru is just the kind of place you secretly wish every neighborhood had: It’s a cozy converted house—what you might find in a traditional Japanese neighborhood, landscaped with a small Japanese garden. Bamboo floors and the sparse décor add charm, while the windows shed light above your head when you’re seated, allowing you to focus on the beautifully prepared food. Ordering is self-service, then you wait to be impressed by the simple, fresh dishes like Katsu-don ($8.80), breaded fried pork cutlet with egg and onion sauce over rice, and my favorite, Tempura Soba Soup, perfectly cooked buckwheat noodles in broth with a side of tempura shrimp and veggies ($8.50). Salmon, grilled or teriyaki, is lovely as is the katsu curry. The best part? Getting a perfect potato croquette with many meals. And always order soup with noodles. 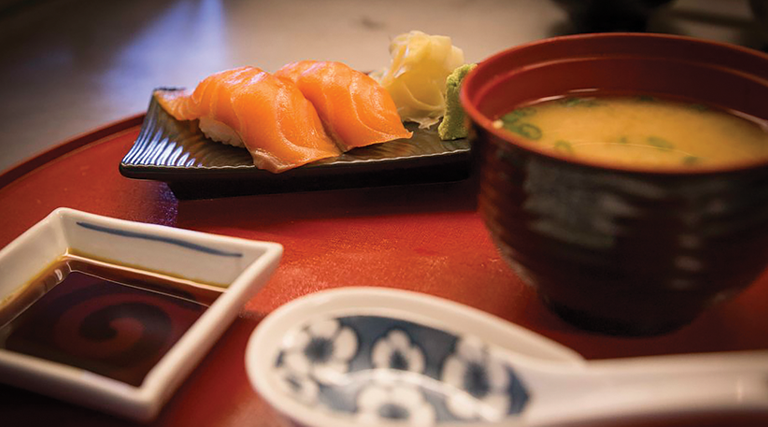 I’m sure you’ll agree it’s the best place to experience authentic Japanese dishes in Utah. 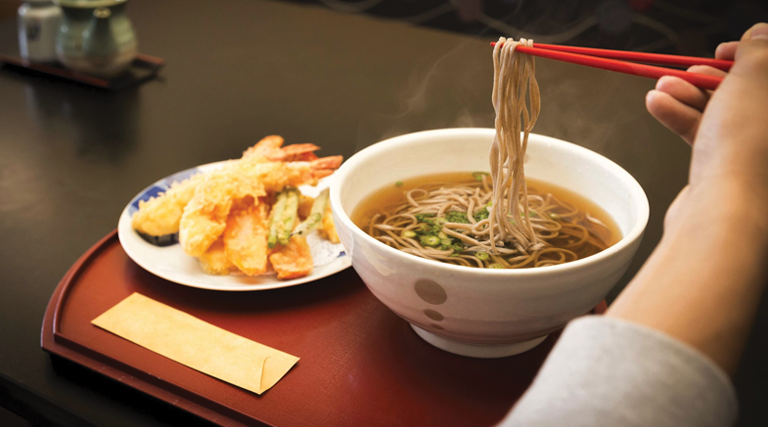 Note: Reservations are not accepted on Ramen Saturdays, but they are a must any other time. Seating is not available for groups larger than 6 people.